Looking for Christian gift stores online? A gift that will match their belief in Him? What would be a truly unique gift for your spiritually driven loved one? What about an olive wood cross from The Holy Land? Nearer to Thee. Through items from the area Jesus walked. From across the world, Belief And Prosperity is proud to introduce to you the most unique opportunity of a lifetime. Where else would you get your loved one a gift equal to the symbol of his or her faith? 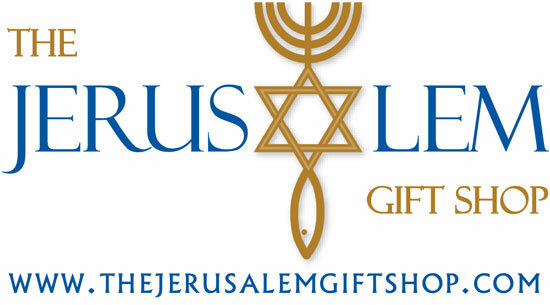 The Jerusalem Gift Shop is the largest supplier of Christian gifts from the Holy Land Their shop, located in Jerusalem, the heart of the Holy Land, has a huge inventory of unique gifts they have provided for you, their valued customers. They’re happy to be your connection to Israel! These gifts, except for a very few examples, are exclusively crafted in the Holy Land. This is one of the best Christian gift stores online, if not THEE best. They are not manufactured en masse in China or Taiwan. These gifts are made from actual local olive trees and materials near Jerusalem , resulting in essentil oils from local presses, and cosmetics products from the Dead Sea. Should I take this Leap Of Faith? These gifts will bring you closer to Him, they are from, and represent, The Holy Land, where Jesus actually walked on this Earth. This is where the New Testament occurred. This is it! And your loved one can touch and feel materials from that Land. Shop in Jerusalem for anointing oil made in the Galilee and Jerusalem from Frankincense, Lily of the Valley, Rose of Sharon, Myrrh and Spikenard and other biblical scents mixed with oils from the Galilee region where Jesus walked. Shop for Christian Jewelry from Jerusalem that especially reflects your understanding of God’s Word. The gifts you want, to let them know you love them, and their belief! Quantities are limited, discounts are available, go now and SHOP from your couch in JERUSALEM! Leave us a comment below, we love hearing from YOU! ← Thank You For Your Request!